- no side and bottom seam - 1 pc. Seamless can body. Backed by massive industry competence and experience, we have come up with a fine quality consignment of Cans with Double Tight Ring Lid. Our organization is passionately engaged in offering an exclusive array of Empty Paint Can to the customers at very affordable rates within committed period of time. 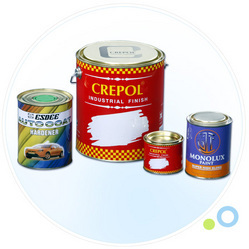 Keeping the diverse requirements of customers in mind, we are instrumental in providing Round Paint Can. 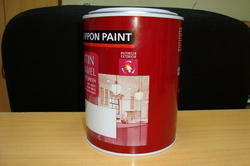 Owing to the rich industrial experience and expertise in this business, we are engaged in providing Plastic Paint Can. Promtech Decorative Spray paints are available in 25 shades in 150ml and 400ml Aerosol Can. They are Thermocol Safe Quick Drying Spray Paint.